Forks is a small town in Washington State. 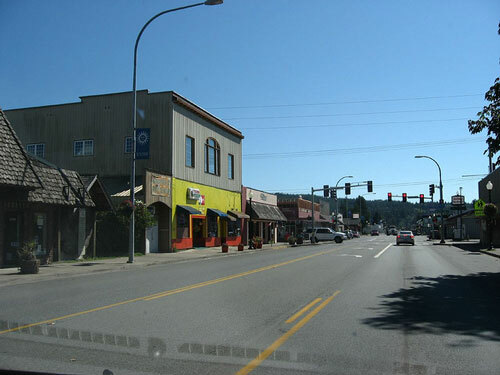 Forks WA sits right at the center of the Olympic Peninsula. 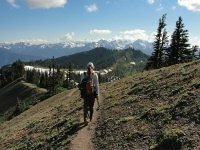 Snuggled between the Pacific Ocean and the Olympic mountains, Forks and the surrounding area provides a huge variety of recreational activities for the outdoor enthusiast. The north and west side are bordered by more than one hundred miles of saltwater shores, and the south and east sides are covered with glorious meadows and beautiful rain forests. There are more than 200 miles of rivers filled with salmon and steelhead running through the region. Olympic National Park – This is a land of breathtaking beauty and variety. In one day you can explore fabulous mountain vistas, meadows covered with wildflowers and colorful tide pools. The valleys contain some of the largest remaining ancient forests in the country. The park is like three magical lands in one. Olympic Park is home to the largest protected, yet un-managed herd of Roosevelt elk in the world. One of the main reasons the park was established was to protect these majestic creatures, and naming the park after the elk was considered. The Hoh Rain Forest - Located just 30 minutes from Forks WA, Hoh is considered the silent star of the rain forest valley. The Hoh river runs through the forest from the glaciers of Mount Olympus to the Pacific Ocean. Cape Flattery - Cape Flattery is the most northwestern point of the contiguous United States. 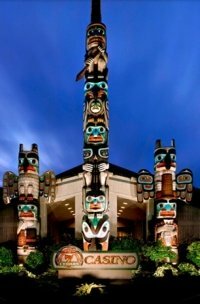 It is part of the Makah Reservation, located where the Strait of Juan de Fuca joins the Pacific Ocean. The cape was named by James Cook on March 22, 1778 and is the oldest feature in Washington State to retain its original name. Sol Duc Falls - The Sol Duc River is approximately 78 miles long. It flows from the mountains almost up to the Pacific Ocean, where it joins with the Bogacheil River. Sekiu. Chill out in Sekui where you will find the space to really unwind. You can also spend the day on the beach or hiking the many mountain trails. 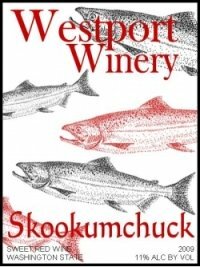 Forks WA was named for the forks in the nearby Sol Duc, Calawah, Bogachiel and Quillayute rivers. This area was covered with lush forests which fueled the local economy for many years. Many of the forests were harvested several times. With the decline in the timber industry, the town now relies on the nearby Olympic Corrections center and the Clallal Bay Corrections center for jobs. The economy is also supported by tourism and sport fishermen that flock to the rivers and streams every year. Forks has gained much popularity since it was the key setting in the Twilight series of books by Stephenie Meyer. With so much to see and do, you will definitely want to stay for more than one day. You will find plenty of fabulous places to call home for a few days. From luxurious motels to scenic RV parks, there is something for every taste and budget. The Forks Motel - The Forks Motel has 73 deluxe rooms, including singles, queens, double queens and kitchen suites. The outdoor pool is open from June to September. Features include a guest laundry, high speed internet and a coffee maker in every room. Some rooms include a refrigerator and microwave oven. Centrally located close to all attractions. Pacific Inn Motel – Deluxe rooms, including a special Twilight room that features a true Twilight experience. All rooms include microwave ovens, refrigerators, air conditioning, in room coffee, internet service and a guest laundry. Centrally located close to restaurants and plenty of shopping opportunities. Dew Drop Inn – This small, family business is able to provide a high level of personalized service. The upstairs rooms all have private balconies. Cozy River House – These are two fully furnished, two story family homes. They are conveniently located close to beaches, rivers, lakes, and waterfalls. One house has room for ten and the other for twelve, making them the largest vacation rentals in the area. Most of the fabulous Olympic Peninsula attractions are less than thirty minutes away. The Hungry Bear Cafe, Motel and RV Park – This beautiful park is a vacation on its own. It is conveniently located close to everything the Olympic Peninsula has to offer such as lakes, beaches, and the Hoh Rainforest. The Hungry Bear Cafe - The cafe is widely known for it's fabulous home style cooking, fresh baked pies and the famous one-pound hamburger. It is open for breakfast, lunch and dinner. The Motel – The motel has one room with a double bed, three rooms with queen sized beds and four rooms with two double beds, plus one unit with a kitchen and separate bedroom with two queen sized beds. The kitchen is fully equipped with a stove, microwave oven, refrigerator, dishes and cooking utensils. 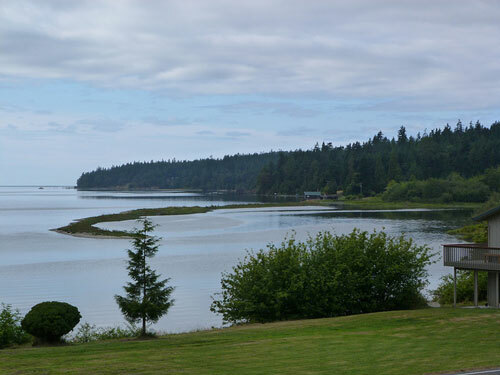 RV Park – The park is located fifteen miles from Forks WA. It makes the perfect home base for all of your Olympic Peninsula adventures. There are twelve full hook ups, and two with electricity only, plus plenty of tenting sites. The park is equipped with bathrooms and showers and sites are furnished with picnic tables and fire pits. Wherever you decide to stay, you will be close to fabulous scenery, great restaurants and plenty of shopping. A trip to Forks WA is an adventure of a lifetime. 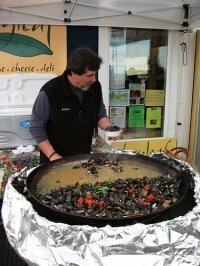 Looking For More Events on the Washington Coast? 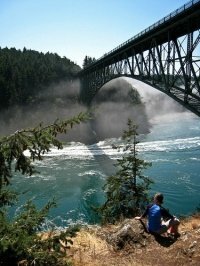 Check out our Washington State Tourism event calendar for loads of fun times! Visit our guide to the best Washington State Tourist Attractions for visitors and locals.